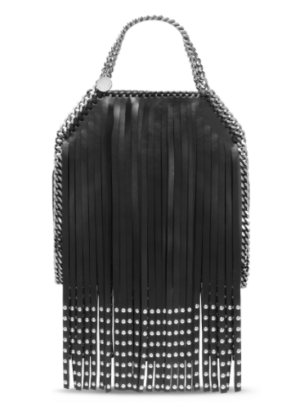 The accessories for Fall 2016 have a lot going on – fringe, tassels, chains, embroidery – you name it! While some are exquisite statement pieces, others can go extremely wrong. It is important for women to be mindful of this, especially as they age. There are certain accessories that may catch our eye but that does not mean they are right for us. It is best to avoid overly trendy fashion items that can appear desperate. There is nothing worse than a woman trying too hard. Here is my list of current and trendy accessories that non millennials should steer clear of this season. I may not have a concrete reason why it doesn’t work but just trust me! Velvet or otherwise. Just say no. I was recently in the elevator with my neighbor’s daughter. She was wearing Dr. Martens and thought they were a new thing. 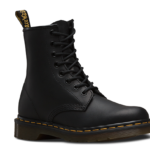 If you’re familiar with Doc Martens, you are too old to wear them! This Stella McCartney bag is the perfect example of too much going on. Keep it simple by focusing on one trend at a time. The original version with just the chain strap is great for women at every age. Quick Tip: Always remember there is a difference between “on trend” and trendy. Trendy implies fashion victim not Fashionista. The same is true of “youthful” and young. Just as there are some accessories that can be interpreted as “trying too hard” or “too young”, there are also some that have a tendency to age women. Be mindful of things like a printed Hermes scarf or brooch. A woman with a brooch on her lapel will appear old fashioned. Try fastening a cardigan with a cool brooch and pairing your favorite Hermes scarf with an open white cotton blouse to appear more modern. So what accessories should a non millennial choose? Focus on classic accessories that are still on trend. 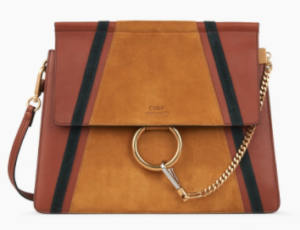 One of my favorite accessories this Fall is the Faye Shoulder Bag from Chloe. It is a perfect example of an item that is youthful without being too young. 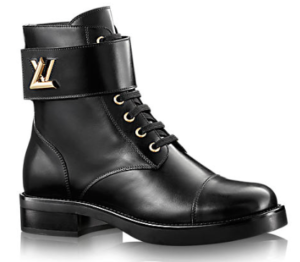 If you must embrace the Doc Marten boot trend, let your daughter wear the Dr. Martens and go with the Louis Vuitton version for yourself.